SaddleBrooke Community Outreach (SBCO) and Tri-Community Food Bank are grateful to the SaddleBrooke and SaddleBrooke Ranch residents who supported this year’s food drive. 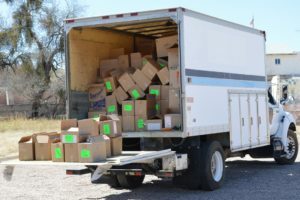 This year’s effort to fight hunger among residents of Mammoth, San Manuel and Oracle brought in $51,500 in cash donations (a 26% increase over last year) and just over 22,000 pounds of food (close to last year’s record). Tremendous support from our communities made this year’s Food Drive such a success. We also deeply appreciate the work of the more than 150 volunteers whose efforts make the Food Drive possible. It truly takes a village to publicize the event in each unit, pick up donations, sort the donated food and deliver it to the Tri-Community Food Bank in Mammoth. This year, students from Sycamore Canyon Academy helped unload the delivery trucks and transport the food into the Food Bank. 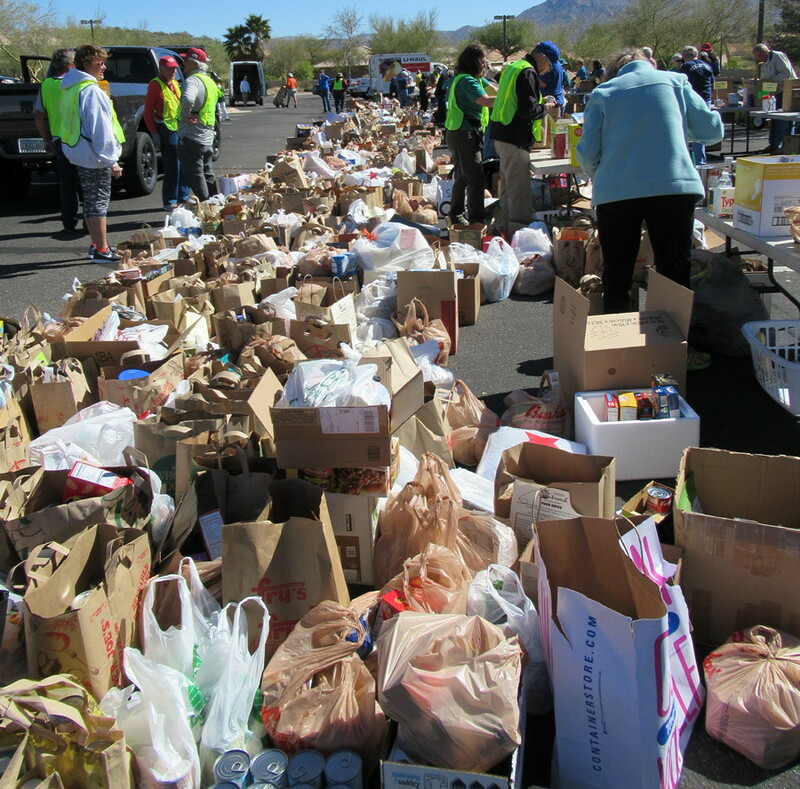 If you would like to contribute your food, money or time to next year’s SBCO Food Drive, mark your calendar now – the next Food Drive will be held on March 23, 2019. Volunteers are needed both for the day of the event to help with sorting and packaging, as well as Unit Captains to distribute flyers and pick up donations. If you would like to volunteer, please contact Andrea Stephens at 818-9306 or send an email to astephens45@q.com.